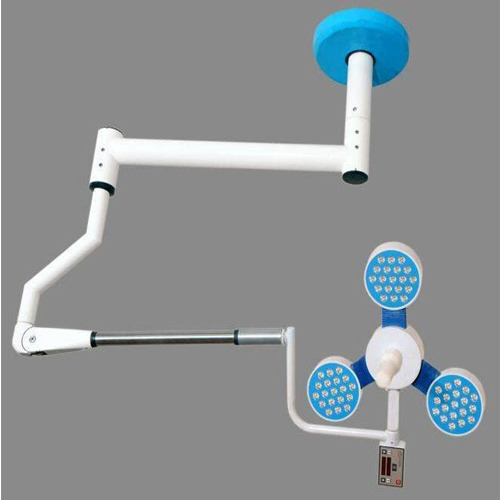 Pioneers in the industry, we offer single dome surgical ceiling light, examination lamp, mobile surgical light, single dome surgical wall mounting light, triple dome surgical ceiling light and twin dome surgical ceiling light from India. Colour Rendering Index >90 Ra. >90 Ra. Colour Rendering Index >90 Ra. Colour Rendering Index >94 Ra. Red Colour Rendering Index >92 Ra. We are Leading Supplier and distributor of Mobile Operation Theatre Lights in Chennai. 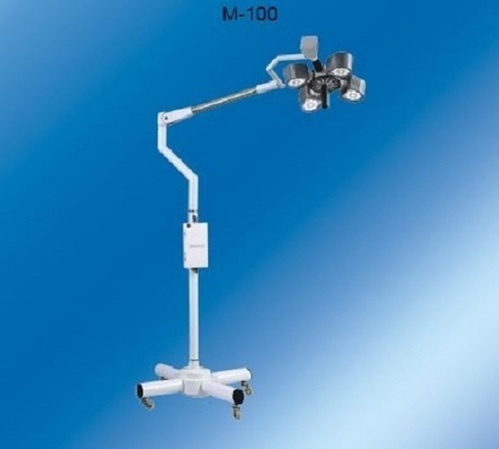 We furnish optimal quality Mobile Operation Theatre Lights in the market. 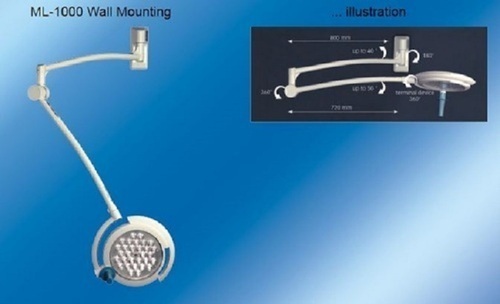 We have carved a niche as one of the leading Mobile Surgical Lights Manufacturers in India. Our Mobile Operation Theatre Lights are accessible in single as well as multiple domes with straight and reserve halogen bulb that can be switched ON as per requirement. Additionally, we are also counted among the top Mobile Operation Theatre Surgical Lights Suppliers. Mobile, single dome, single reflector O.T. 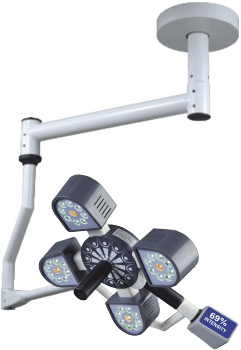 Light mounted on sturdy stand. Aerodynamic shaped sealed domes (made of Aluminium) are laminar flow friendly. Spring balanced, flexible arm positioning without any drift. Autoclavable handle at the centre of the dome. Effective heat absorbing, colour correcting filter & shadow reducing diffuser. Each dome consists of two halogen bulbs as standard. Reserve halogen bulb can be switched ON required. 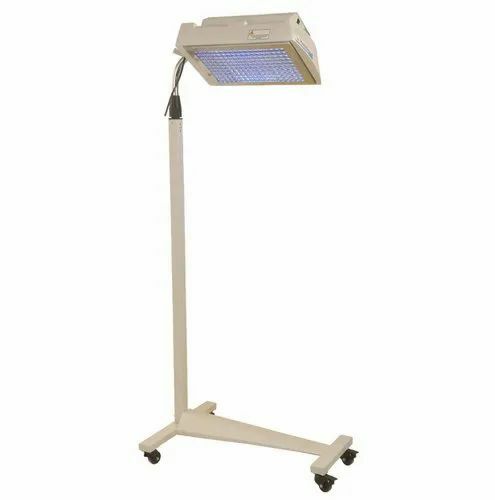 We are engaged in offering a wide array of OT Light. This OT Light is available in market in different sizes and specifications. Customers can avail it at reasonable prices. 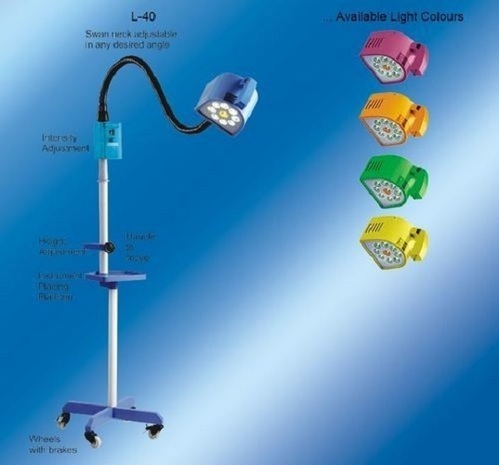 The offered OT Light is extensively used in Day care, Autopsies, Post surgery and in many other suitable applications. 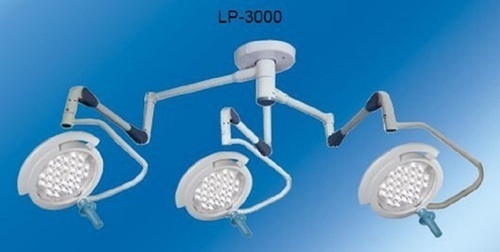 We are Leading Supplier and distributor of Ceiling Operation Theatre Lights also known as Ceiling Lamps. 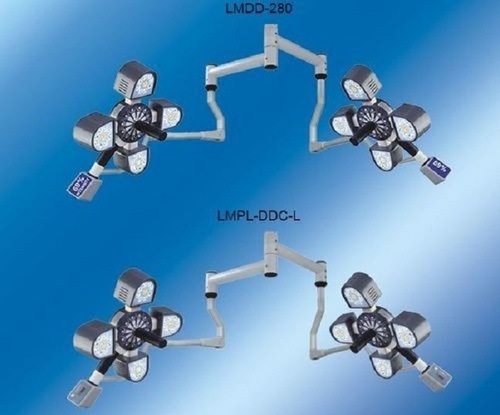 We can provide these lamps also in the stand mode. We provide Operation Theatre Lights to suit the requirements of each and every medical profession. Suitable for major as well as minor surgery. Therapeutic high wattage blue LEDs 12 nos. 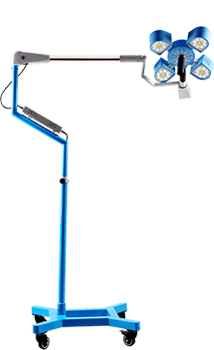 Looking for “LED Surgical Lights”?